Are you in Calgary, Winnipeg, Ottawa or PEI? We’re looking for schools and students that would like to receive a presentation from a self-advocate to celebrate Canada’s 150th and learn about inclusion! 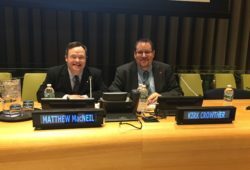 The Canadian Down Syndrome Society is participating in a very exciting project this fall called Looking Back and Ahead: Engaging Youth in Building our Inclusive Future. The presentation is designed ideally for middle school, but could be adapted for other grades as well. If you are interested or would like more information please fill out the form below or call us at 1-800-883-5608. What Does Your Canada Include? 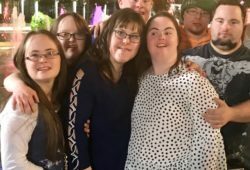 Inspired by Rick Mercer’s video “My Canada includes an extra chromosome,” we would like all of you to share what makes Canada’s Down syndrome community makes great by sending us photos and videos of you in your community with signs that answer the question. We’ll share all of these photos on our website in time for Canada Day! Thanks to Sabrina from Down Right Cute for reaching out with this fantastic idea.